As always, a Pennsylvania governor’s budget address is a wish list for the upcoming fiscal year. It is a starting point in budget negotiations, which will continue next week as the House Appropriations Committee - led by our colleague, Majority Chairman Stan Saylor of York County – begins a deeper dive into Gov. Wolf’s proposal. The question of how to pay for these proposals should always be asked. The governor wants to increase spending by 4.2 percent and is relying heavily on borrowing and debt to accomplish this goal. We are also concerned by the extreme shift of funding outside of the General Fund and the impact that will have on transparency and accountability. Furthermore, the governor’s desire to increase the minimum wage goes against an Independent Fiscal Office report that says doing so would result in the loss of 33,000 jobs. Please watch to above video to hear my thoughts of the budget. Thanks to the York Sunday News for publishing my latest column. Below you’ll find an excerpt. To read the full column, click here. “As I sat in my seat on the House floor and listened to Gov. Tom Wolf deliver his budget address, I was shocked to hear him not only acknowledge but also learn he plans to transfer funds from “shadow budget” accounts to fund his proposed spending as part of the 2019-20 state budget. “As you may recall, I, and a group of House Republicans who are members of the Common Sense Caucus, identified large sums of taxpayer dollars sitting idle in off-line special fund accounts in 2017. We proposed using just a very small portion of surplus funds to balance the budget and alleviate calls for broad-based tax increases. At the time, we were told all the funding had already been earmarked and couldn’t be touched even though the funds we proposed using had documented substantial surplus balances for more than three years. The 2019 adult trout stocking schedules are now available at my office in preparation for opening day of trout season in April. More than 700 streams and 120 lakes will be stocked as a part of the commission’s 2019 adult trout stocking program. The PFBC will stock nearly 3.2 million adult trout in Pennsylvania rivers and streams that are open to the public for fishing. Copies of the trout stocking schedules, including a searchable database, can be found online at PFBC website, or the PFBC’s “FishBoatPA” mobile app. With REAL IDs about to be made available in Pennsylvania, I will host an event to assist residents with pre-verifying documents required to obtain a REAL ID. The event will be held in the cafeteria Northern High School, 653 S. Baltimore St., on Tuesday, Feb. 26, from 5-8 p.m. This will help speed up the application process for those who wish to obtain a REAL ID. Under federal guidelines, a REAL ID, or other approved identification, such as a passport, will be needed to board a commercial flight or visit a secure federal building starting next year. Obtaining a REAL ID is optional for residents. When the application process opens in March, residents who attend the event will already have the necessary documents on file with PennDOT. 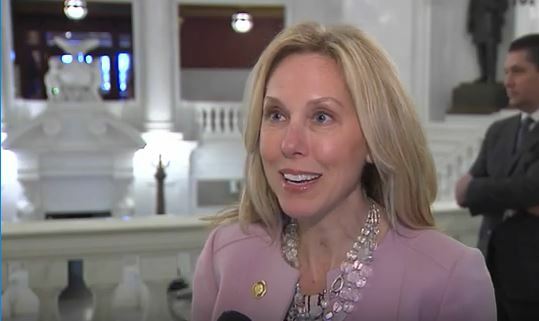 Lawmakers passed House Bill 195, which ensures patients can synchronize their medications in order to receive refills on the same day each month, instead of having to make multiple visits to the pharmacy.